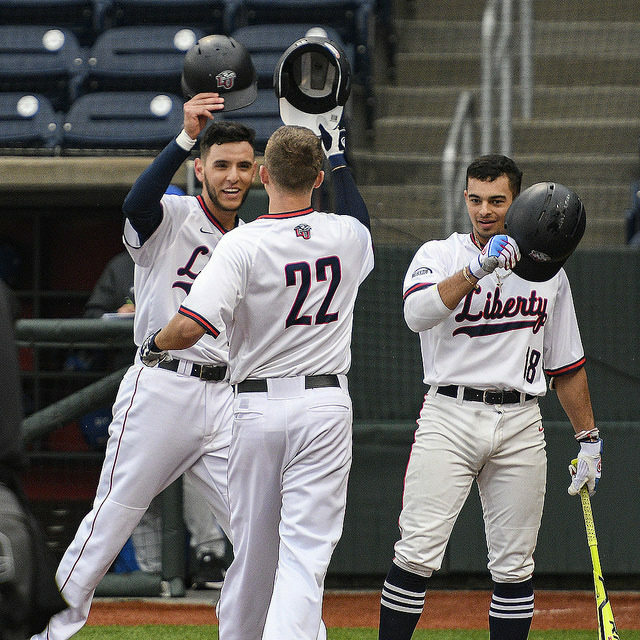 Liberty baseball is set to begin its inaugural season in the Atlantic Sun coming off a 32-26 2018 season in the Big South. Liberty’s rotation will be piloted by sophomore right-hander Noah Skirrow and junior college transfer Andrew McInvale heading into the opening weekend at South Carolina. The Flames and Gamecocks begin a 3-game series Friday at 4pm in Columbia, South Carolina followed by a quick turnaround for the team’s home-opener next Tuesday against Wake Forest. Skirrow posted a 4-3 record with a 4.57 ERA over 67 innings pitched last season. McInvale, a redshirt junior, posted a 4.32 ERA in 37 innings pitched at Howard College in 2018. The rotation is rounded out by JUCO transfer Mason Myer and two freshmen in Joseph Adametz and David Erickson. Beyond those 5, Garret Price and Evan Brabrand will anchor Jackson’s bullpen. Another challenge facing Liberty will be replacing all-Big South performers D.J. Artis and Tre Todd. The two paced the Flames’ offense last year with a combined .304 average and 126 hits. 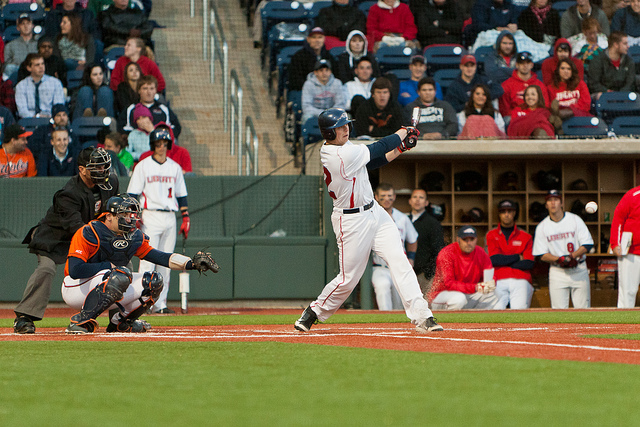 Liberty will look to a combination of returning and new players to fill out its lineup card. Jackson said he’s nailed down the Flames’ 1-4 hitters. Redshirt junior Jon Embry will bat leadoff, followed by sophomore outfielder Brandon Rohrer. Infielder Tyler Galazin, who hit .286 last season, will bat third and 6’3, 225 lb. first baseman/designated hitter Logan Mathieu will bat cleanup. The second half of the lineup remains undetermined. Jackson said he has a general idea of who could step in, but a specific order has yet to be finalized. Names mentioned by Jackson include shortstop Cam Locklear, second baseman Will Wagner (whom Jackson called the most improved on the roster), freshman catcher/first baseman Drew Baughman, infielder Ben Highfill, and freshman centerfielder Jaylen Guy. Guy has a similar skil-set to Artis and will start the season batting in the 8 or 9 hole. Locklear started 57 games last season. Last year, the ASUN was no. 7 in the nation in conference RPI. Competing in the conference, which features perenneal powerhouse Stetson, will pose new challenges to the Flames. Liberty will also have to adjust to a more rigorous road schedule, as all Big South schools are either in the Carolinas or Virginia. The Flames will travel to Florida several times in 2019 in addition to treks to Alabama and Georgia. Liberty also faces a demanding non-conference schedule. In addition to South Carolina, the Flames will play Duke, North Carolina, Tennessee, Virginia, Virginia Tech and Wake Forest. The change in schedule, however, hasn’t changed the team’s expectation to win.